How to Develop your Sales Funnel – Lifeblood of your Small Business. Listen, whatever marketing and promotional work you undertake, whether that be pressing the flesh, putting photos up on Instagram, email marketing or whatever, your focus needs to remain on moving people in your target market along and how to develop your sales funnel. Remember : Nothing happens until something gets sold. 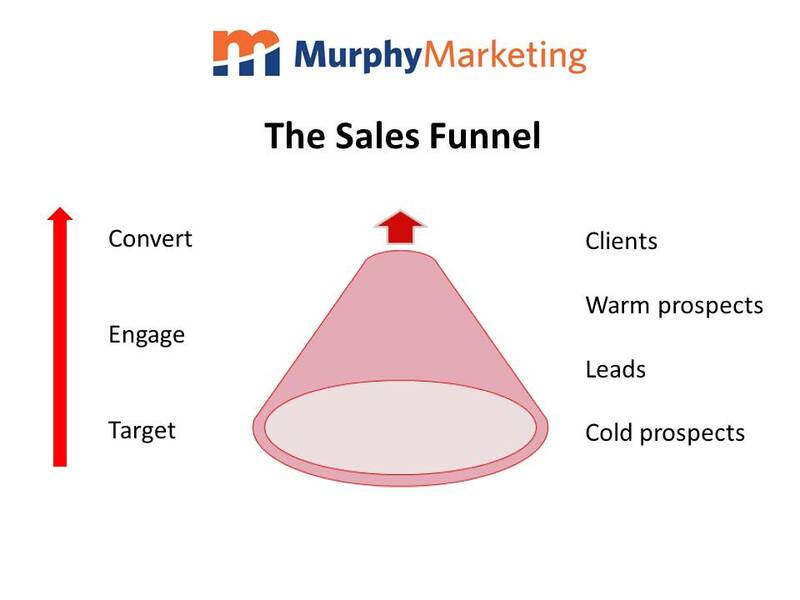 Traditionally, the sales funnel has been portrayed in images as a type of water funnel, with its big open end at the top and the narrow tube at the bottom. This representation seeks to convey the idea that, while large numbers of ‘cold’ prospects may be thrown in at the top, relatively few will come out the bottom and become actual paying customers. But there’s a degree of laziness to this. At the core of this image is the notion that prospects simply fall into your sales funnel, like rain into your gutter, and that the only work involved is moving them down along. Indeed, this even suggests that gravity will push some out the other end, irrespective of your input. It’s lazy. I put it to you that a much better image to form in your head would be of an upturned funnel. Now, suddenly, you’ve got to lift your funnel up for the ‘cold’ prospect to get in there in the first place. There’s already work to be done. Moreover, now gravity cannot help you get them out the top. You’ve got to keep those targets moving onwards and upwards. More work involved. In fact, your poor old prospect has to want to get to the top. He ain’t passive no more. Huge difference. The first thing to understand and accept in wanting to develop your sales funnel is the need to develop your sales funnel. By that I mean to draw your attention to the probability that you will lose 20 – 25% of your existing customers / clients over the next 12 months. That’s just life. Some retire, some close down, some begin to buy from their sister or best friend. Some just don’t need your product or service any longer. Maybe you haven’t progressed or innovated and you can no longer meet their ever-changing needs. OK, so once we get into the frame of mind that we need new customers, what then? Step one is research. In fact, it’s research, research, research. Get out and meet people, network, check out new businesses, get on the internet, get along to trade shows and conferences, etc. 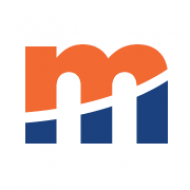 Find new prospects. They’ll be cold at first, but c’est la vie. From there, it’s a question of developing a relationship, making enquiries about their needs, matching your product or service to those needs, getting into presentation mode, then negotiating and so on. Now, I always advise people to put a system in place for seeking out new ‘cold’ prospects. Give yourself a manageable target every period of time. For you, that might be to meet 10 new people per week in their office or at networking events, or it might be to go visit 4 new trade shows per annum, where you’ll walk up to stands and see where you can offer a benefit to the exhibitor. However you choose to do it, be sure to keep working on how to develop your sales funnel. After all, it’s the lifeblood of your business.